If you're an elegant woman, who appreciates the finer things in life, these designer Burberry BE2073 eyeglasses for women are the solution you've been looking for. Show your face some love with these medium bridge frames that will create more of a balance and bring out your natural beauty. Durability should always be one of your priorities when you look for new eyewear, which is why these plastic eyeglasses' frames are ideal. If you're the active and practical type, you'll benefit from having plastic Burberry BE2073 frames. No nose pads on your eyeglasses means you'll be able to adjust your glasses to your face despite its size and shape. The thick fully rimmed frames are a real showstopper. You'll be able to let your personality shine through your eyewear with these unorthodox eyewear frames. These round frames suggest that you love success. You're the type of person who really knows what they want from life and nothing can get in your way. You love life and have a real passion for the things you do no matter what it is whether it's hanging out with your friends or being more active. Round frames are perfect for people with square faces and strong jawlines as these help soften the look. Be cool and casual at the same time with this simple Burberry BE2073 eyewear design that will complement any look. Casual frames will help you dress up and down with ease while correcting your vision at the same time, what more could you possibly want from a pair of frames? If you've been searching high and low for the perfect eyewear fit, look no further. 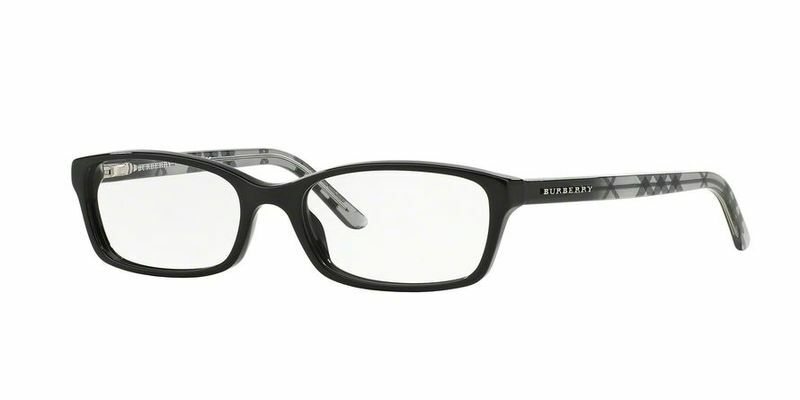 These stylish Burberry BE2073 glasses with medium temples are so comfortable they won't need to be readjusted. I've ordered from here before and have always been satisfied and happy!